Prior to the remodel, this Bedford great room had an unfeeling and uninviting ambiance. As this room is a center of activity for the family, the owner was looking for a design that would transform the room and make it warm and friendly. Cynthia Shreve, the interior designer, the owner, and our own project manager, collaborated on all the elements of the new space. Once completed, everybody was very pleased with the final result. 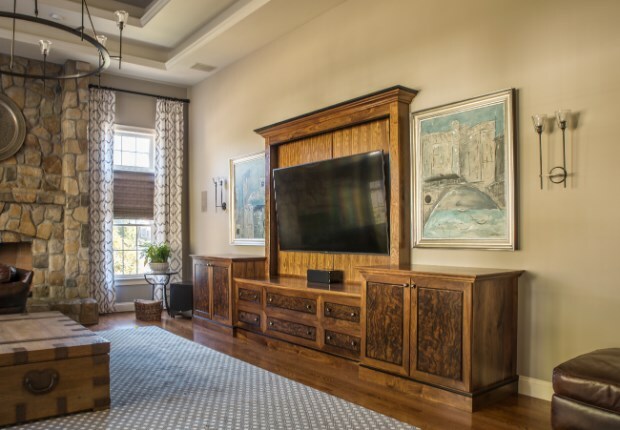 A custom made walnut entertainment center with walnut burl panels, manufactured in our woodshop, is certainly a highlight of the room. Other features include a large chandelier and a tray ceiling. 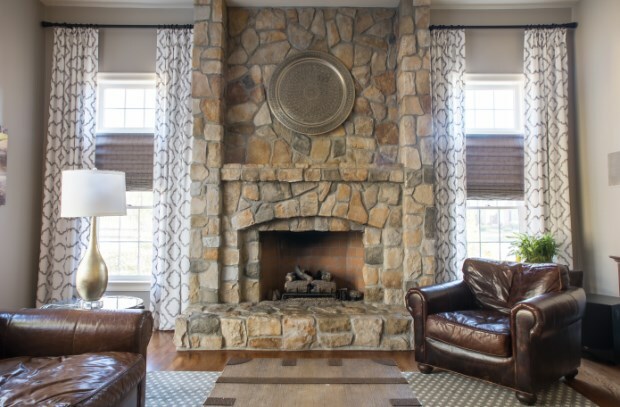 Careful attention to details such as draperies, area rug, and wall color added to the design.